Flats are always evergreen and comfy to wear. 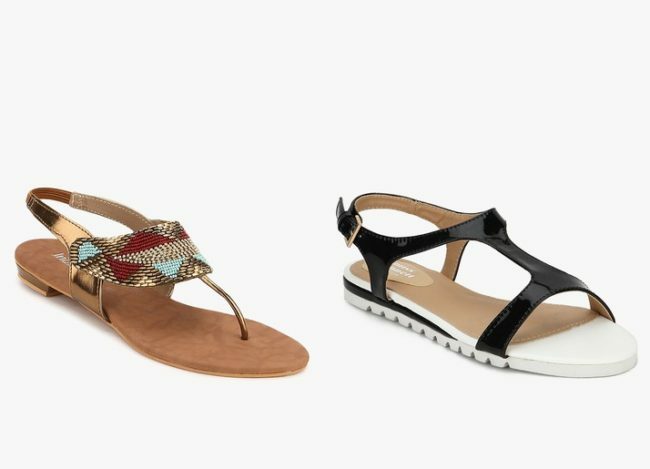 Be it any age, any occasion and at any place, you can always consider flat pair to be one of your last survival thing for your pretty feet when travelling or on parties. 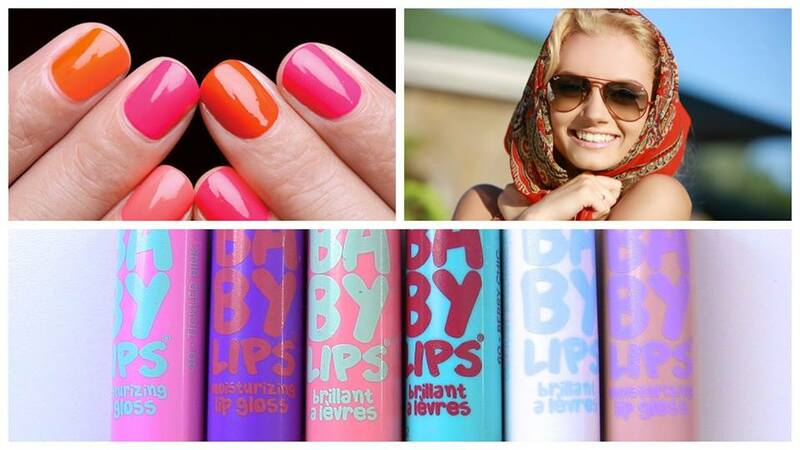 So much we spend on pedicures and then polish those nails to make your feet look beautiful. Attention gals!! Also spend sufficient time on choosing right flats for your perfect outfit to flaunt with. 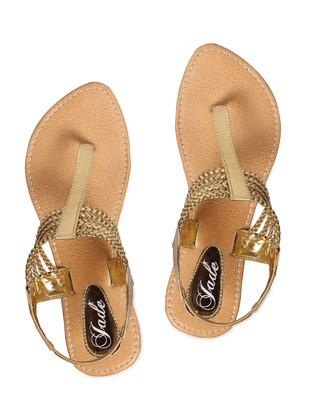 Golden flats with back stretchable is always comfy and enough to transform your outfit. 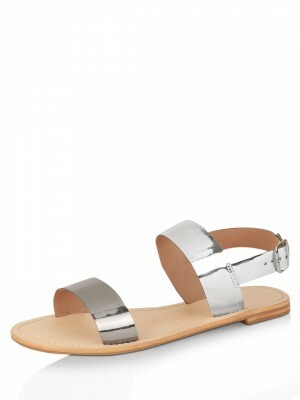 One pair of silver flats is MUST for parties and dating. Simple and grace is what makes us fall in love with it. 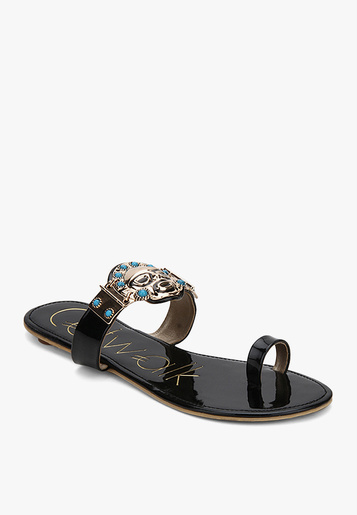 Black is always rocking and this sandal embellished with stones is making us more tempt to buy it RIGHT now!! 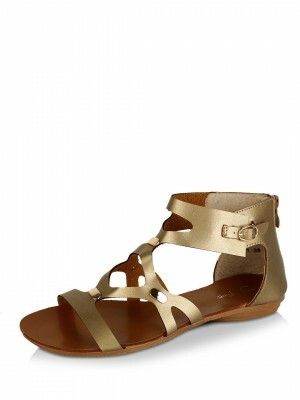 Go boho chic with this gladiators and say yes to glam with these metallic pumps. Wear any tailored short with this Flats. Style and Brand conscious! !This white and black combo sandal is SO pretty,stylish and elegant. We are absolutely loving it. 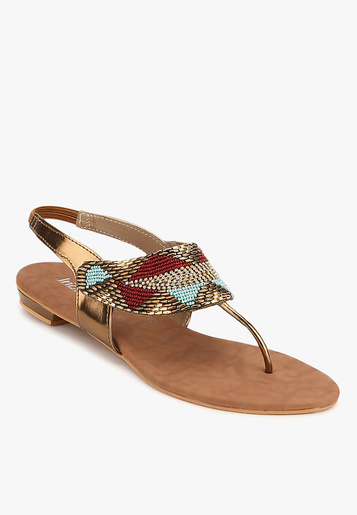 Go girl, rule the streets wearing these multicolored sandals by Inc.5. This economically designed pair of sandals will keep your feet stress free. This black flats from Catwalk with glossy shine and oxidized metal work on the belt is GO on every dress. College or date, perfect!! Previous : Ritu Kumar’s Fall Winter 2015 Ad Campaign is out! !